I am beginning to feel like a broken record (and here it is again) I am so ready for winter to be over. We're teased with sunshine today and it looks deceptively nice out, but it's still really really cold... I am really looking forward to longer days, warmer weather, and many consecutive days of sunshine! 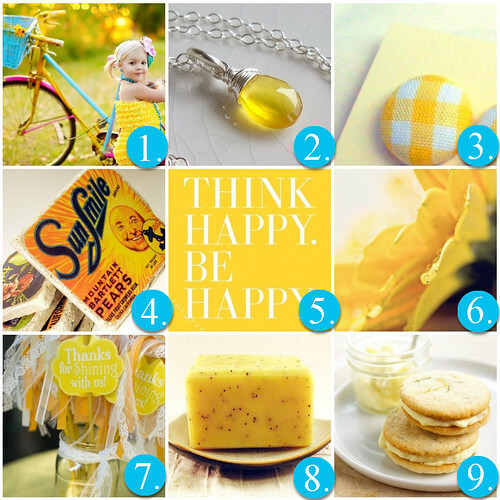 In the meantime, I hope you enjoy these bright and sunny finds from etsy!